It's just over 1,000 years since the Battle of Clontarf took place on Good Friday 1014. This date is etched on the history brains of every Irish school kid as of course it was the occasion when the Irish High King, Brian Boru, defeated the savage Vikings. In doing so, he saved Ireland and Christianity, and became a martyr for all Irish people ever since. For once the Irish won a big battle and Brian Boru has had hero status ever since. Was it so? 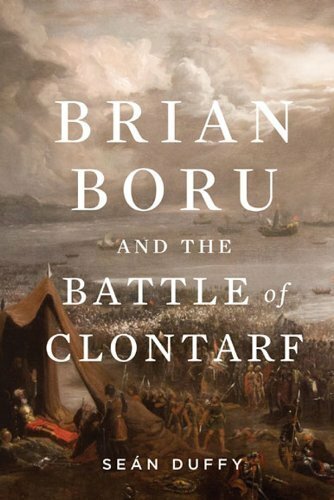 Professor Seán Duffy of Trinity has written a new book: Brian Boru and the Battle of Clontarf, which "offers a new interpretation" of the events leading up to this famous battle. The book does not describe that actual battle in any detail, as not much is know about it other than that a great slaughter occurred. Much of the book relies on so called "Annals" for sources and Prof Duffy uses these sources carefully and at all times questions their accuracy where appropriate. Brian Boru's rise to the High-Kingship is described in great detail and there is much made of the rivalries that existed between the Irish at that time. Indeed the Battle of Clontarf itself is sometimes depicted as being like a Munster vs Leinster rugby match with axes and spears. 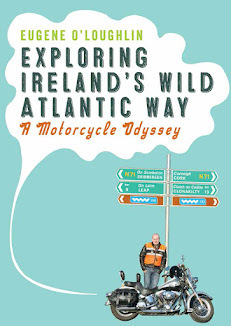 Prof Duffy covers all angles in what is a very detailed and well researched book. I did find all the names in Irish difficult to follow and the timeline jumps around quite a lot. I did find the book difficult to read at time because of this, and as a result it took me a long time to read it. This is a serious history book and not for those looking for a quick summary of heroism and events 1,000 years ago. It certainly raises new questions about the almost legendary life that Brian Boru had that is familiar to anyone taught history in Irish schools. Recommended, but be prepared to work hard to read it through.